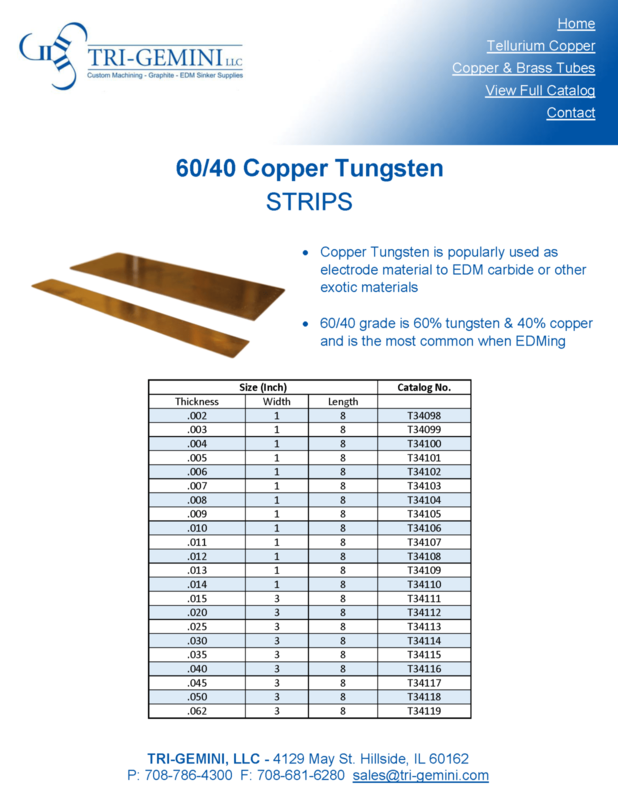 Copper tungsten is used as an electrode material to EDM carbide or other exotic materials. 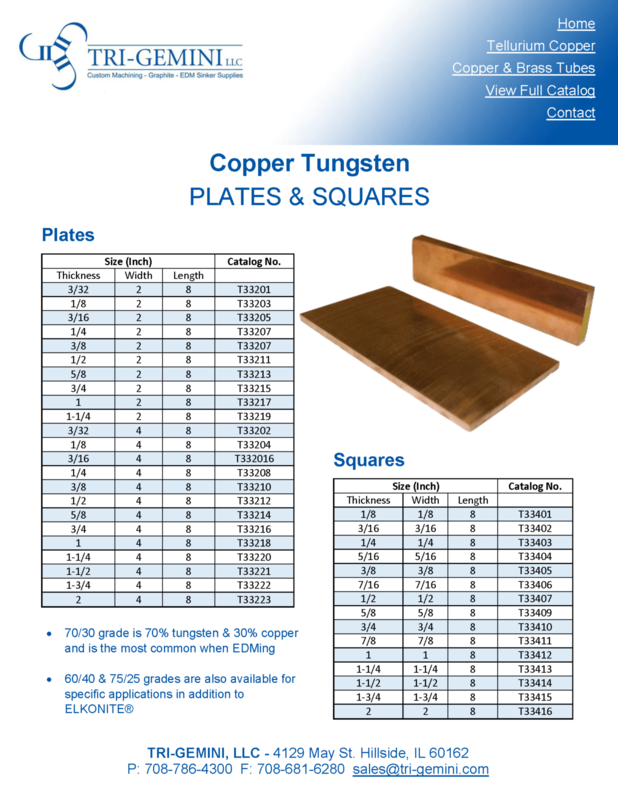 Copper tungsten has excellent wear properties but is more challenging to machine to shape. It is sold in bars, thin sheets, rounds and squares. 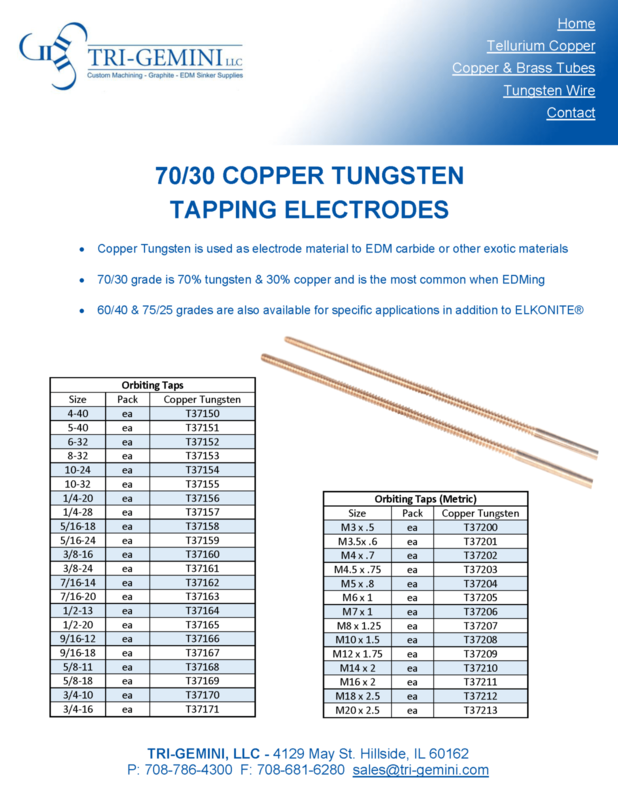 Our stock items of copper tungsten are the 70/30 - 70% tungsten and 30% copper - the most common grade used in EDM applications. 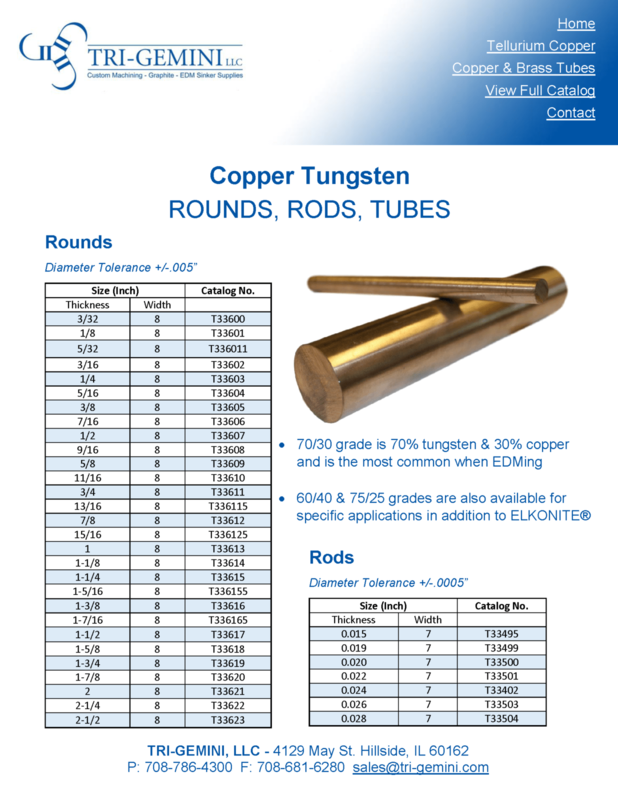 We also supply 60/40 and 75/25 grades for specific applications and many sizes of ELKONITE® copper tungsten. 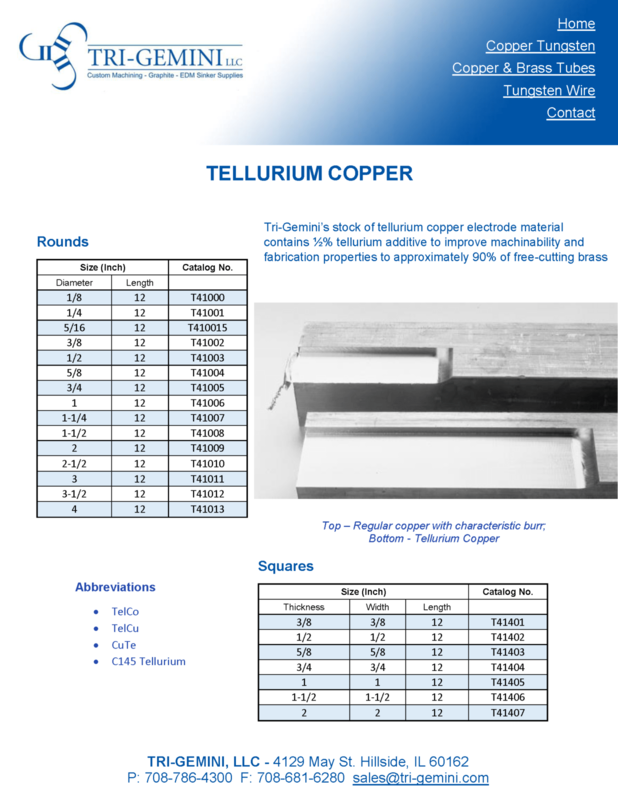 Tellurium copper electrode material contains approximately 1-1/2% tellurium, which improves the machinability and fabrication process of electrodes for EDM compared to standard copper, without affecting the EDM characteristics. 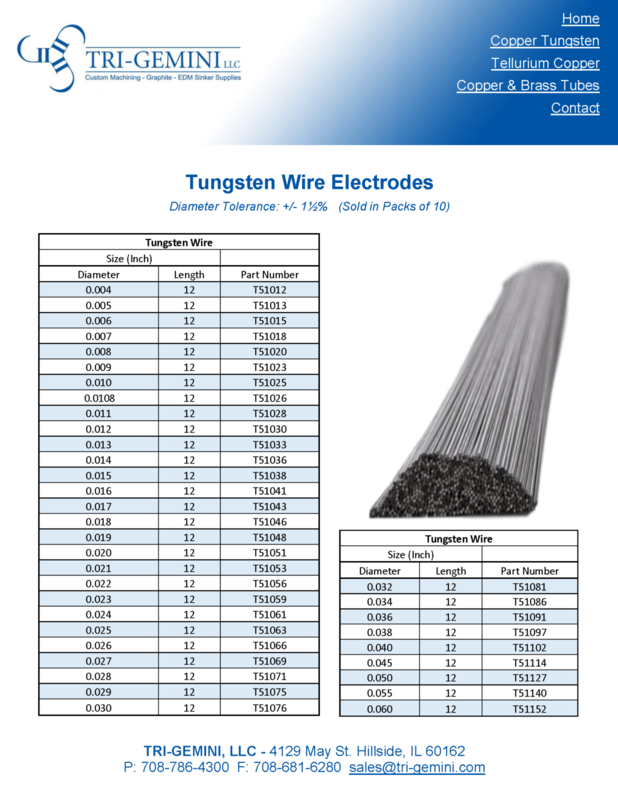 Tungsten wire electrodes allow for ultra small hole drilling into a wide variety of workpiece metals. This material is often selected for excellent surface finish properties and its ability to meet tight tolerance requirements. 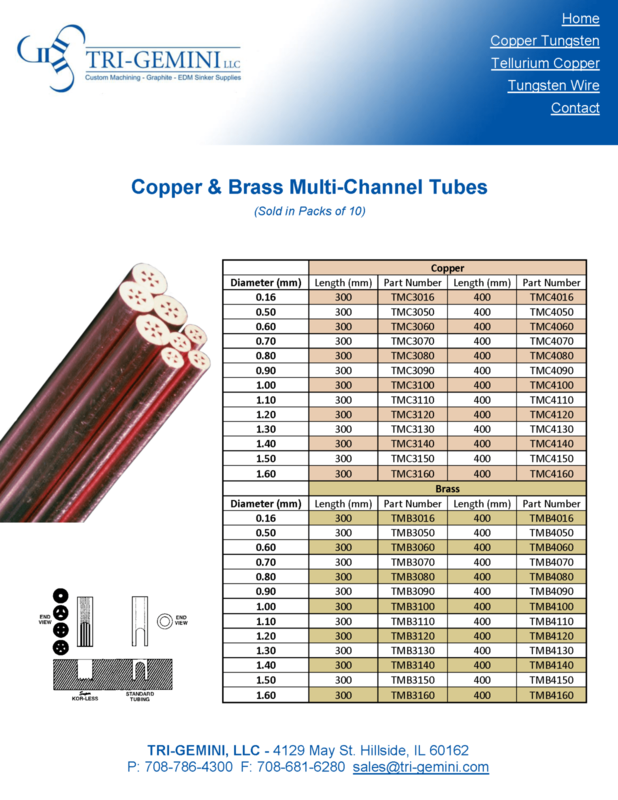 Sizes are available as small as .004" diameter. Tungsten Carbide provides excellent wear characteristics when EDMing MoldMAX™ , Titanium, Carbide, and other exotic metals. 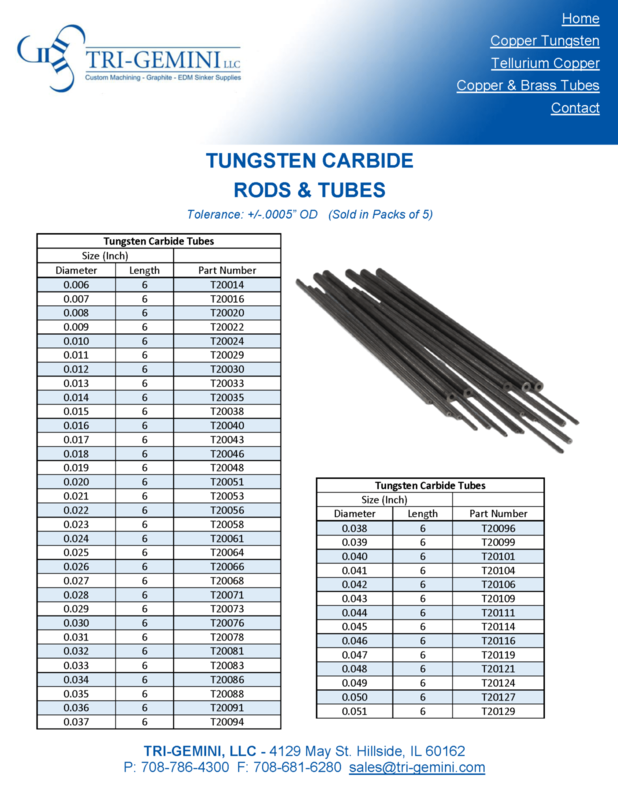 We stock many diameters of tungsten carbide tubing and tungsten carbide rods for immediate shipment from stock. 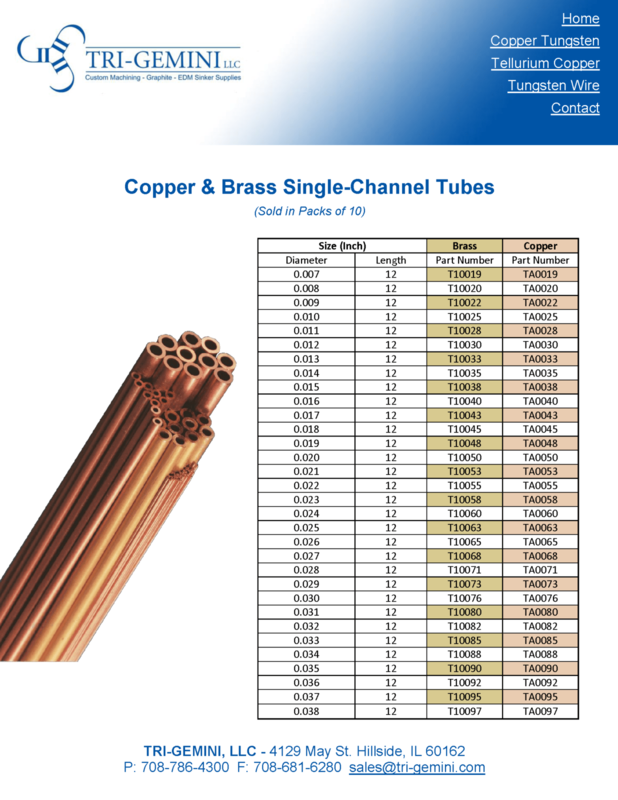 A wide variety of exotic metal electrodes including Oxygen-Free Copper, Silver Tungsten, Molybdenum, & Beryllium Copper are available for specific EDM applications. Consult one of our EDM application engineers regarding questions on your project's requirements.